Christina Yao makes her feature film directorial debut with the historical epic EMPIRE OF SILVER. She has an extensive theatrical repertoire, having directed over 30 plays for prestigious companies such as the American Conservatory Theatre and the National Theatre of Taiwan. Published in Taiwan, France and the US, Yao is also an acclaimed short story writer, playwright and critical essayist. 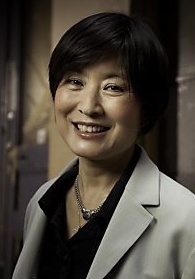 Yao's academic background has included Taipei's National Institute of the Arts, Wellesley College and San Francisco State University. Yao holds a Ph.D. in Asian Theatre from Stanford University.